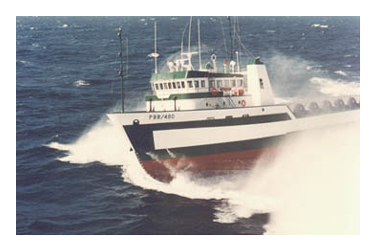 Guarino’s experience is extensive, beginning his design career in 1960 at Halter Marine Service, he was responsible for the majority of Halter’s standard tug and OSV designs for almost 20 years. At Guarino & Cox, Inc. he headed the team that produced the competition-winning design for the AGOR 23 Class Research Vessel that led to construction contracts for six vessels at the Trinity Marine Group. As Vice President of Research and Development at both Trinity Marine and the Halter Marine Group he developed designs for numerous vessels including several fast patrol craft for the U. S. Navy and foreign navies. Guarino’s hull lines were used on the 72 foot sportfisherman “Contigo” and Trinity Yachts, Inc.’s 150 foot “Princess Marla.” The 185’ expeditionary yacht “Samantha Lin” and the 94’ “Maloekoe” clearly illustrate his “no nonsense” commercial vessel experience and design philosophy for these heavy-duty little ships. Cox began his career as an intern at Halter while still in college. He received a B.S. degree in Naval Architecture from the University of Michigan and in 1972 started full time with Halter on the design and naval architecture staff. He was involved in many design projects including tugs, OSV’s and the AGOR (U) Class of oceanographic vessels. When he left Halter to co-found GCI in 1980 he held the position of Chief Naval Architect. Cox was engaged in design work and supervised all naval architectural activities and preparation of working drawings to support production at client shipyards. 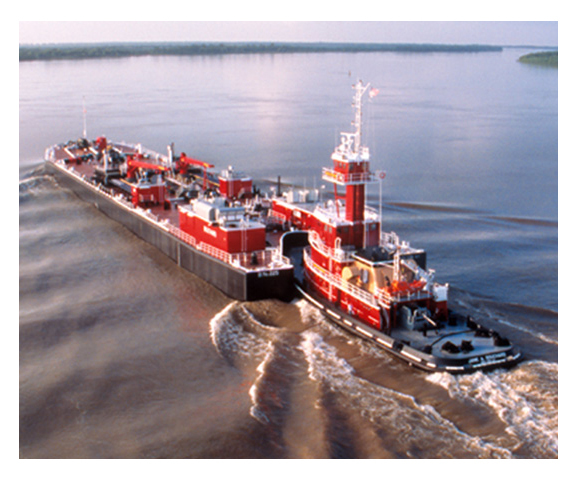 When Trinity acquired GCI he became Trinity’s chief naval architect and was also involved in the design of several vessels including large tugs, inland river towboats and passenger vessels. He was later the Director of Engineering for Trinity Industries, Inc. Inland Barge Division with overall responsibility for design, engineering and production drawings for inland hopper, tank and deck barges. At the Halter Marine Group he held a similar position for their oceangoing barge production.